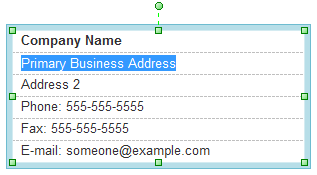 When creating invoice, some elements must be included such as company address, contact information, and price information. 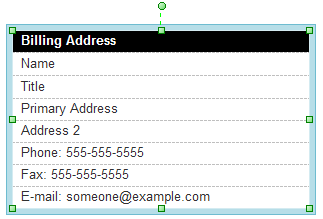 Edraw offers pre-made elements used for making invoice which allow users to modify on existing tables, so as to enhance the invoice design efficiency. 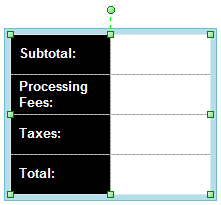 Below are pre-defined invoice elements in Edraw. With these customizable elements, you can dragging and dropping pre-made elements to design invoice instead of drawing everything from scratch.